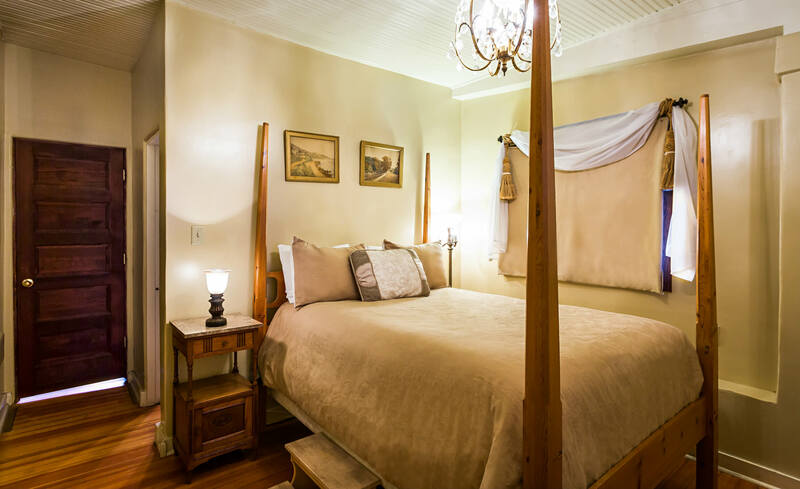 A cozy suite to help you unwind during your Albuquerque trip; includes private bath, beautiful four-post queen-size bed, and sitting area. The Gold Room, an inviting queen-size suite in the Spy House bed and breakfast, was once the original front porch of the house. Guests of this room will have their own private outside entrance to the suite. The main entrance to the room is a cute little sitting room with desk if you have some work to catch up on. 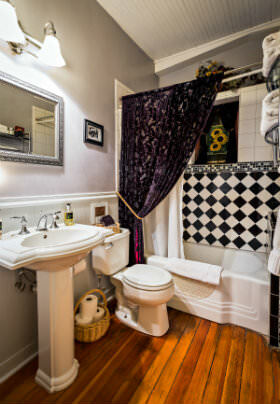 The beautiful full bath is decorated in crisp black and white, with a touch of regal purple and gold accents.